Congratulations to all the winner! 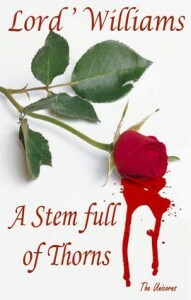 -I know you are waiting for "A Stem Full of Thorns," shipping will be a little late, the publisher changed the release date to Oct. 1,2009. I tried to change the announcement, but the system did not updated the information. I am so sorry for this delay. I will starting shipping as soon as I have them in hand, along with a surprise! Happy reading soon, and thank you for entering the contest. The contest might be over but there is still time to participate in a special sale! From now to Sept.30,2009, get "Shadows of the Heart" and the sequel, "A Stem Full of Thorns"(Thorns will ship after Oct.1,2009) for $13.00 plus Shipping. Or get into the know with, "Shadows of the Heart," for only $7.00 plus shipping.